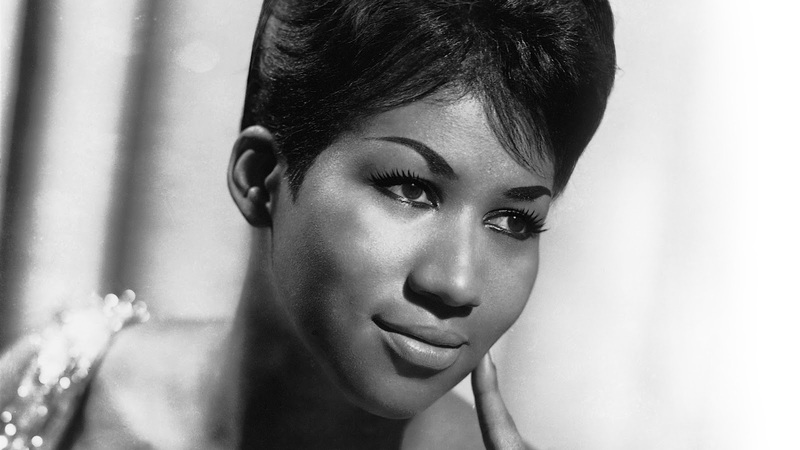 Aretha Louise Franklin passed away on August 16th, 2018, at the aged of 76. The undisputed Queen of Soul was born in Memphis, Tennessee, and grew up in Buffalo. A glimpse into her musical destiny was provided by her preacher father, Clarence, whose passionate sermons earned him the moniker ‘the man with the million-dollar voice’. A philanderer and lothario, his other influences are perhaps best left unsaid. Her early life was tough. She’d given birth to two boys by the age of 14 and was touring at 16. Her peerless voice was honed, as many others were, in church, in gospel choirs. Driven by her ambition to be a star, she upped sticks to New York while still a teenager and signed to Columbia Records. After six years, and moderate success, a move to Atlantic in 1966 signalled the start of her ‘peak’. Respect, (You Make Me Feel Like) A Natural Woman, Chain of Fools, Think and I Say A Little Prayer which, incredibly, was a B side! An unbelievable catalogue already. Spanish Harlem and Rock Steady got the nation’s dancefloors moving in the early 1970s but a change of direction saw the queen move to Arista, and a ‘younger’ sound, in 1980. Who’s Zoomin’ Who was a massive hit in 1985 and two years later Aretha teamed up with George Michael for the global smash, I Knew You Were Waiting (For Me). Aretha Franklin’s body of work is vast, comprising over 40 studio albums and 131 singles. She sang at Barack Obama’s inauguration, and at Martin Luther King’s funeral. Thousands of concerts, countless TV and radio shows. And, of course, not forgetting her superb cameo as the battleaxe café owner in The Blues Brothers. Her voice was quite simply staggering. As a white, working-class boy from the south of England there’s no way I could possibly empathise with growing up as a black person in 1960s’ America. How could I? The appalling racism, the oppression, the poverty, the segregation. But, I could relate to music because I can hear it. And her voice just completely captivated me from day one. So strong and powerful it hits you, smacks you across the chops and says ‘pay attention’. Her slower numbers reduce hard men to blubbering wrecks. It’s called soul music for a reason. How can any human being not be touched by (You Make Me Feel Like) A Natural Woman? I’m welling up now just thinking about it. I’m not a woman but hearing her sing that song is so powerful. She properly means it. Straight from the heart. Otis Redding wrote Respect. His version is a desperate plea from a man who will give his woman anything she wants. Aretha’s slant oozes strong woman. One who totally knows that she has everything her man wants. She added the ‘R-E-S-P-E-C-T’ chorus. It’s easy to see why it was adopted by the civil rights movement, and feminists alike. Such a powerful song you can own, whatever it means to you. The entire essence of music – in two minutes and 29 seconds. She is the greatest singer of all time. From Big Daddy Kane sampling the opening line of ‘This Is The House That Jack Built’ to inspiring every notable singer from Amy Winehouse to Sharon Jones, Aretha’s legacy will live on in a billion hearts. At 1BTN music is our life. Aretha’s death has affected us all tremendously because she is the complete embodiment of why we love it so much: genuine emotion, sincerity, and sheer, unadulterated, joy. Thank you, Aretha, you made us feel.